Home is a place where we feel most comfortable, surrounded by familiar things, the smells, sights and sounds. The thought of having to move from home to unfamiliar surroundings is stressful for everyone, no more so than for your senior loved one. They worked long and hard to build or buy their own home, paying off a mortgage, making ends meet - and still putting kids through school and university. Contemplating moving away from a place they have lived in for many years is traumatic. This coupled with the fact that when moving into an assisted living facility they can only take very few things with them. The rest have to be given away or sold. 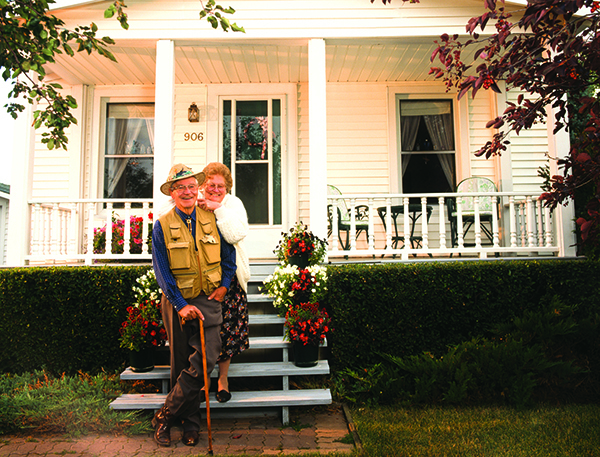 Moving into an assisted living or residential aged care facility is not for everyone. Of course, many seniors thrive in assisted living facilities but an equal number do not. Experts say up to half of all people in residential aged care may have depression but the condition often goes unrecognised and untreated. "Fear, isolation and a sense of numbing helplessness" are common emotions in new residents, say a senior aged care consultant. "The experience of entering a nursing home can be one of loss, followed by anger and depression." People in residential care also have more health problems overall than elderly people living in the community and chronic health problems are known to increase the risk of depression, especially when these health problems make it hard to do everyday tasks. On top of all these factors, the very nature of assisted living can increase depression: residents may feel a lack of autonomy or purpose and have to come to terms with the knowledge that this is the final phase of life. Those who are socially isolated, with few visitors, are at particular risk. Most often families place the elderly loved ones in assisted living because they feel that it will be safe, that they will be looked after, that they will enjoy mixing with people their own age. It seems like a great solution, a discharge of a responsibility - but the outcome can be depression, disconnection and deep seated unhappiness. Companies like Right at Home can help your loved one stay at home for longer - to keep them connected to their community - to maintain their social relationships. It may be the Right thing to do. Right at Home Australia understands your concerns when it comes to making decisions about providing care for your family. Our senior, disability and post-operative care is an excellent solution for maintaining a healthy fulfilling lifestyle and loving relationships. There's a good chance we could be right for you too. Find the right home care service for your family.